Try UniqOne All In One in the new Lotus Flower fragrance, light citrus with jasmine, rosewood, rose and lily of the valley for a clean and caring lotus flower dimension. 1. 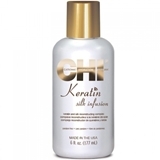 Repairs dry & damaged hair. 2. 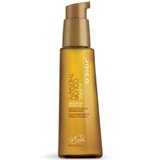 Shine & frizz control. 3. Heat protector when ironing and brushing hair. 4. Silkiness & smoothness. 5. Hair colour protector with UVA & UVB filters. 6. Easier brushing & ironing hair. 7. Incredible detangling capability. 8. 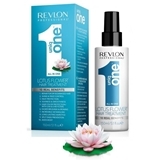 Long-lasting hair style. 9. Split ends prevention. 10. Adds volume and body. 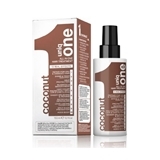 Uniq One All in One Coconut treatment with a fresh coconut fragrance provides 10 real hair benefits: Repair for dry & damaged hair, Shine & frizz control, Heat protection, Silkniess & smoothness, Hair color protection with UVA&UVB filters, Easier brushing & heat styling, Incredible detangling, Long-lasting hairstyle, Split ends prevention, Adds body. 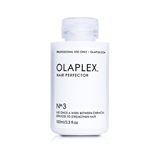 NO.3 HAIR PERFECTOR: Created out of a demand for clients wanting to take a little Olaplex home with them, we created a small 3.3oz (100ml) bottle of the Hair Perfector. 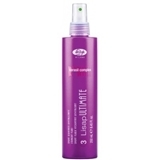 This is a completely optional product and not required for the Olaplex No.1 and No.2 to work. Due to bonds being continuously broken within the hair through thermal styling, mechanical styling or continued color / perm / relaxer services, the integrity, strength, shine and softness will dissipate in a few weeks to a month dependent on how the hair is treated. The No. 3 Hair Perfector will maintain strength, structure, integrity, softness and shine leading up to the clients next service at the salon. INSTRUCTIONS FOR THE TAKE HOME NO.3: The client is to apply a generous amount to wet towel-dried hair and leave on for a minimum of 10 minutes, then rinse, shampoo and condition. This is NOT a conditioning treatment to be left on the hair and should be shampooed out of hair at the end. The longer it is left on, the more effective it is, 10 minutes is recommended and may be left on for longer periods of time for even better results. This may be used more than once a week if necessary. Comfort soothing dermo-protective elixir serum is mixed with the colouring cream, to protect skin and hair as well as enhancing the colour. 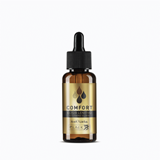 A cosmetic elixir with powerful soothing properties, designed to relieve irritation and redness that may arise during colouring. The combination of active ingredients provides a gentle sensory experience for the scalp: aloe vera extract creates a barrier to prevents skin redness and itching, while sunflower oil protects and enhances the colour, leaving hair shiny, hydrated and radiant. izstrādāts LatInSoft , izmantojot nopCommerce .